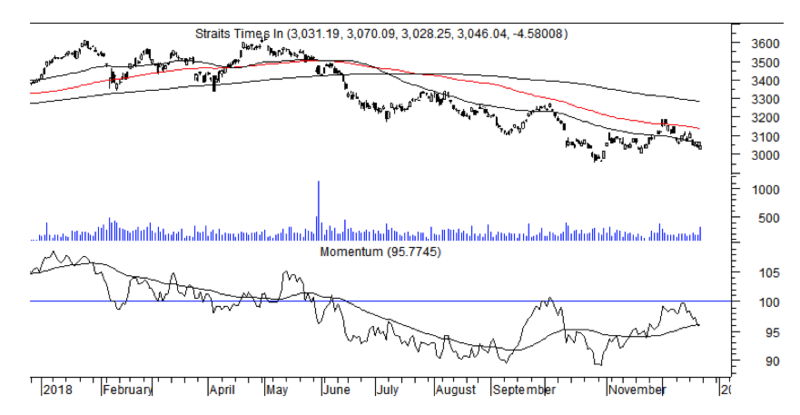 SINGAPORE (Dec 22): The Straits Times Index ended the week below its 50-day moving average, currently at 3,068. Quarterly momentum has retreated and appears poised to fall below its own moving average. The 21-day RSI continues to retreat. ADX which had been falling, has flattened. DIs are negatively placed. When ADX turns up, the STI could fall towards its Oct 26 intra-day low of 2,955. Annual momentum continues to decline and this is likely to restrain rebounds and keep the index below its 200-day moving average. Venture Corp made a another new one year low of $14.48 on Dec 21, breaking below a several times tested support at $14.50 to $14.61. The breakdown, coupled with a simultaneous breakdown by quarterly momentum below its support and moving average suggest lower levels are likely. The next important support appears at $12.40. 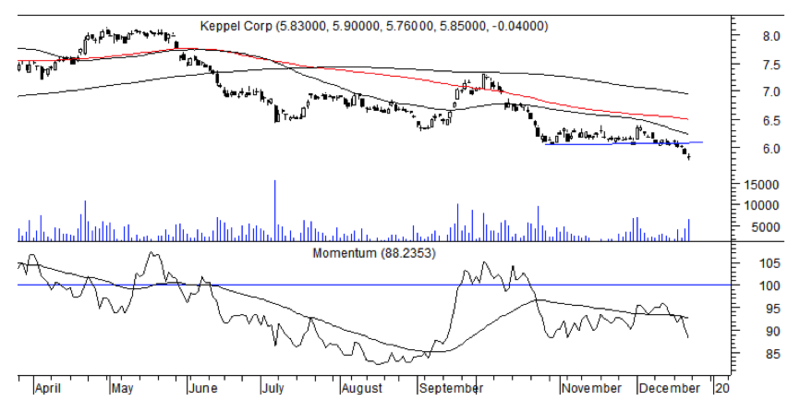 Keppel Corp fell below the several times tested $6.08 level on Dec 19. Volume expanded on the breakdown, an indication of selling pressure. 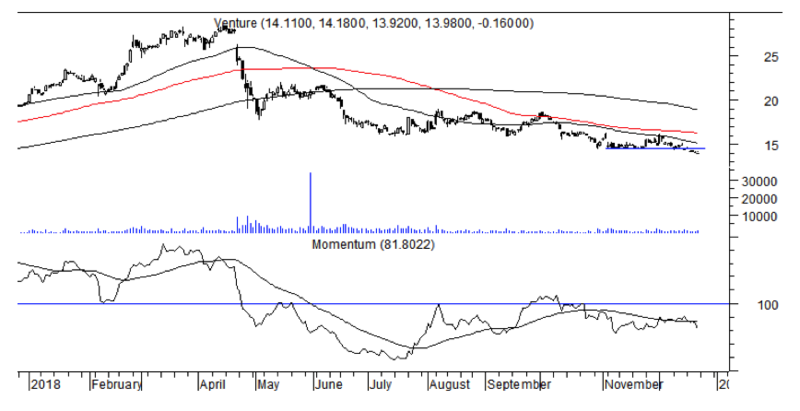 At the same time, quarterly momentum broke below its support and moving average. ADX has turned up and DIs have turned sharply negative, an indication that prices could fall. In this event, support is at the major support area established in 2016 at the $5.08 to $5.20 level.